Tonight we had burgers on the grill. Yum. 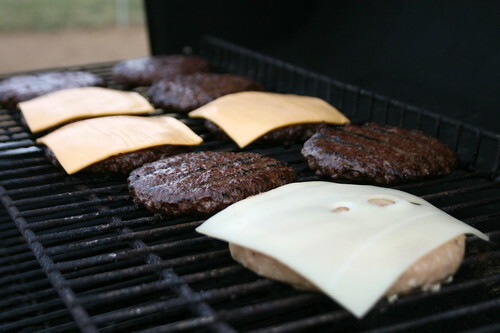 Food tastes so much better on the grill. Some of us like our burgers with cheese. Some don't. I prefer my burger to be turkey topped with Swiss. How do you like yours?